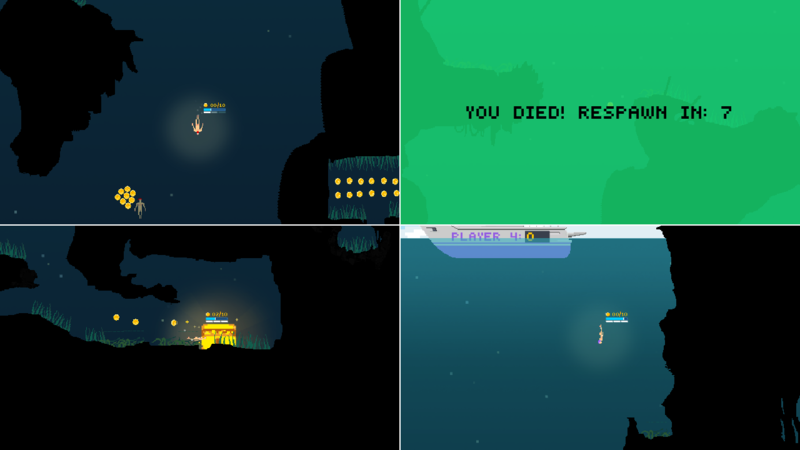 Turbo Taucher is a action-oriented multiplayer diving game! 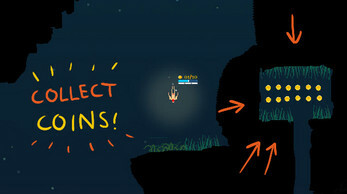 You and up to 3 Opponents search for hidden Treasure in the deep sea. An epic fight will take place over whom will dominate the other players. Dodge their TURBO-Attacks to be safe or try for yourself to forcefully get ahold of their earnings. 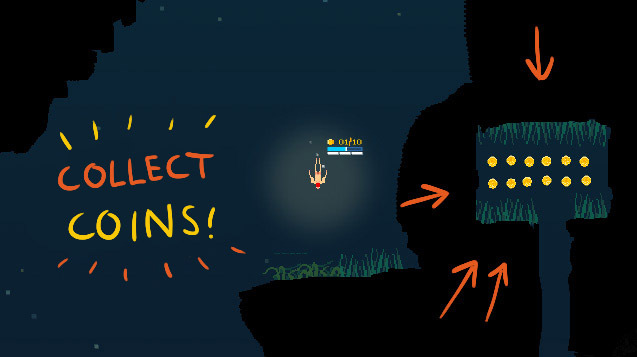 In this fast-paced local multiplayer game you play in close proximity against your best friends and your favorite enemies. Laugh in their faces, while you dominate, poke them in the rips if you loose. The game ends, as soon as someone claims the legendary treasure, by bringing it to his ship and the winner will be whoever found the most gold. Gamepad support should now be absolute bulletproof! Random Treasure Items instead of boring coins! !